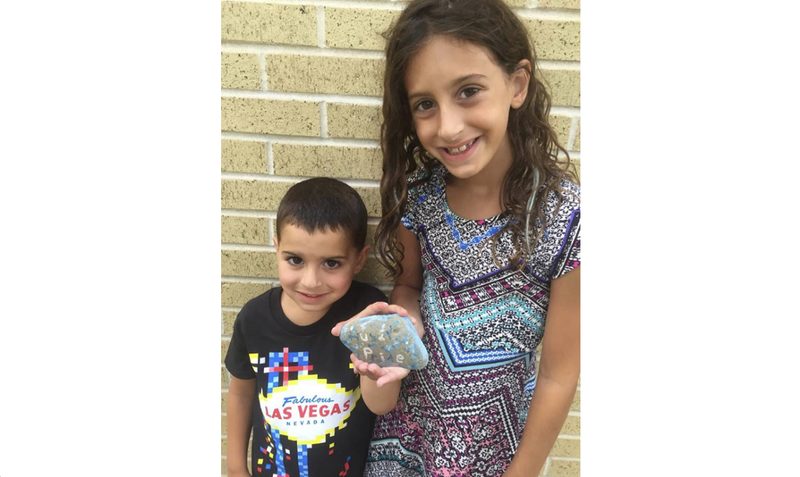 Bells Elementary School students Madeleine, 7, and William Enever, 9, pose with a special rock found, hidden by a Bells teacher, which will earn them a prize when school begins. When residents Amy Burrows Enever and Laura Rohanna created the Facebook page “Washington Township Rocks” on July 23, they didn’t expect it to grow as quickly as it did. Within weeks, more than 2,000 residents and community members have joined, sharing images of painted rock creations hidden or found throughout the township. The idea for a township rock group came about when Rohanna heard of nearby townships that had created a community of residents online dedicated to painting and hiding rocks throughout their neighborhoods. When a decorated rock is hidden, the artist posts a photo and a hint of where it may be found; when it is located, the seeker posts a photo in the group and may either re-hide the rock, or keep it and replace it with their own. When Enever found a rock in Washington Lake Park with a smiley face on it, and was unable to find an established rock group for Washington Township, the two took it upon themselves to try to get their own community involved. According to Enever, the two initially thought they’d only have a small group of 15 to 20 interested residents, however within the first 48 hours, she said there were more than 700 people requesting to join the online group. Rohanna said the purpose of the rock project is to create a sense of community while encouraging families and children to put down video games, cell phones and technological devices and enjoy being outdoors. The rock group has caught the attention of more than just residents, with the fire district, schoolteachers and businesses offering prizes and rewards for finding their special hidden rocks. Mayor Joann Gattinelli and the township administration, along with the township’s Green Team, have also taken part in creating rocks. 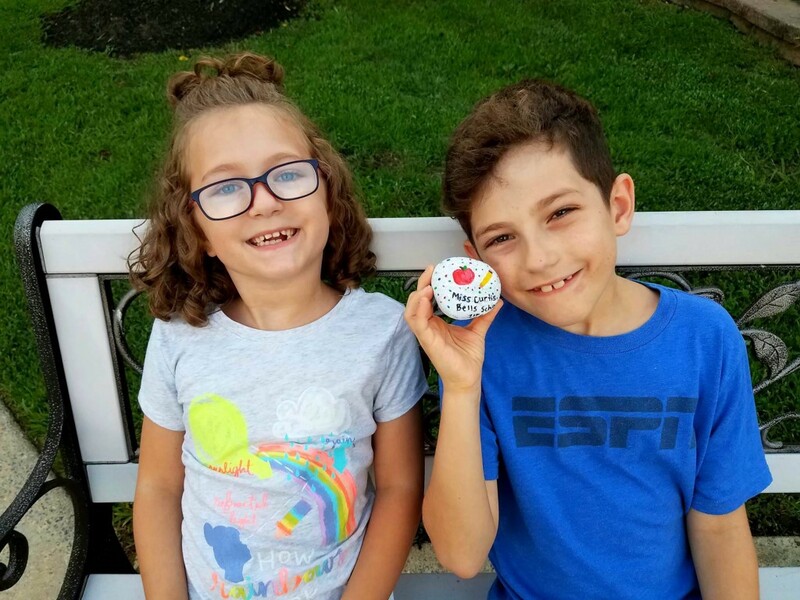 Siblings Sofia, 9, and Paulie Rohanna, 4, are pictured with a painted rock they found in Washington Township. Resident Marie Hegeman said when she was added to the Facebook group, she quickly realized it was something she and her family would love. Hegeman and her three children have painted and hidden about 10 rocks, she said, with her daughter Julie and son Cole ecstatic, having found their first rock about a week ago. Many residents share the same expression of joy and excitement when hiding and finding rocks. Heather Whitcraft said her children’s faces light up when they spot a hidden rock within town, and the game is helping to bring the community together. “The amount of time and effort everyone is putting in to bring a smile to the faces of total strangers is absolutely heartwarming,” Whitcraft said. Resident Christine Robinson told the story of how her family made a trip out in the rain because her son “swore he saw one at the fire station.” As it turns out, it was one they had created themselves. According to Washington Township local Nicole Stokley, painting rocks became a form of therapy and empowerment for her autistic son Tyler, 12, after being diagnosed with PTSD from years of being bullied. 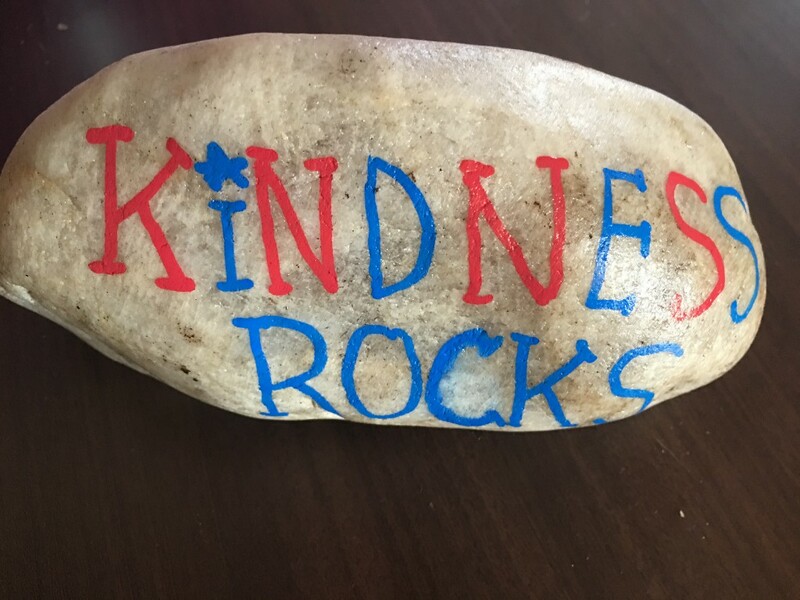 Stokley said Tyler started his own Kindness Rocks project called “Kind is the New Cool,” encouraging the community to paint inspirational or motivational messages on the rocks they hide. The project instilled a new confidence in Tyler to speak out about bullying and the impact it had on his life. Enever said looking to the future of the project, she hopes even if it begins to fade as school begins and fall approaches children and families will look back and remember the fun they had and how the rocks brought neighbors and communities together.